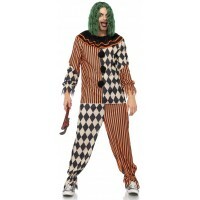 Send a shiver down some spines this Halloween in the ultra-disturbing 2 PC Creepy Clown costume. 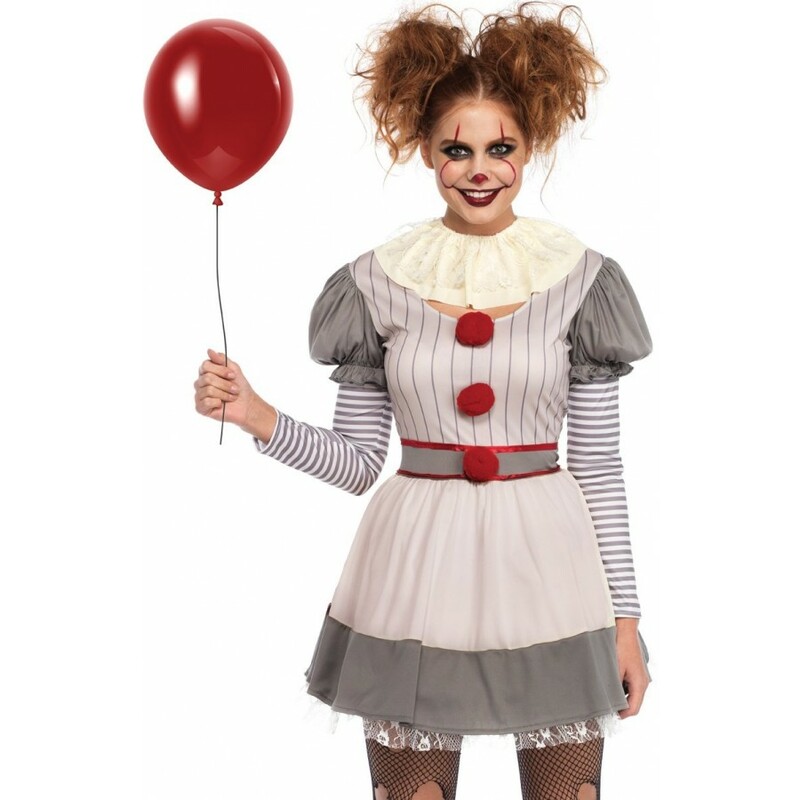 Your look may start out innocent enough, with the iconic striped clown dress with pom pom details and lace neck piece, but with a little DIY clown makeup, you go from friendly dancing clown to nightmare fuel. Item Number: LA-c86729 | Approximate Size (Inches): 8.00 wide x 1.00 deep x 10.00 high | Approximate Shipping Weight: 1.50 lbs. 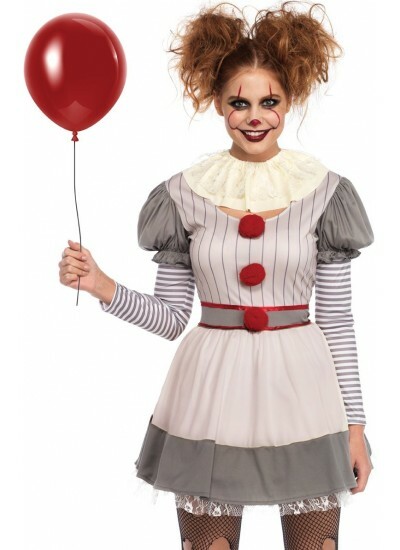 This mens Creepy Clown costume could be unisex too. It features a multi print ruffled coll..